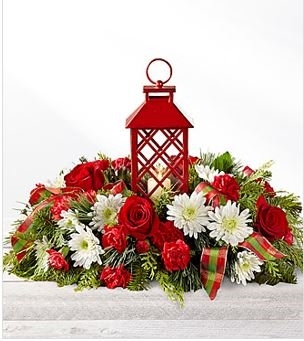 Red roses, carnations, and mini carnations are beautifully arranged amongst white chrysanthemums, and an assortment of holiday greens all surrounding an attractive red lantern with a lattice pattern housing a single white votive candle. Lantern is approx 4 1/4" sq. x 9"H.